MSU CK hatches are designed to be cast into place in interior areas or exterior areas where water or liquid infiltration is not a concern. These hatches are non-watertight choice for areas of pedestrian traffic where additional engineering features are desired. Safety controls are engineered right into all MSU access hatches. 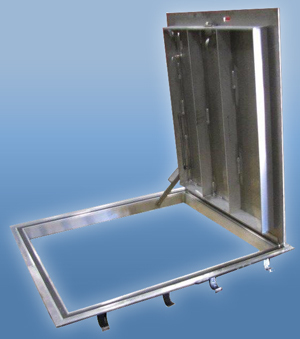 MSU CK hatches are manufactured in single and double-door units only.